I'm exhausted. But it will be worth it in the end. And they are pretty cute. If I make it through the day, I'll post some more pictures and incoherent ramblings tonight! I hope your first days of Kindergarten are going well! I love the idea of putting out things as they are going to use them. That makes so much sense. Yes! Yes! Yes! Exactly! They are babies! I tend to forget how little they know at the beginning of the year! Oy! Great great tips! Love it. I'm a Junior Kindergarten teacher as well and manage to forget how little the know when they arrive on my doorstep as well :) Thanks! When I see my former students, now first graders, I want to yell, "Come back! Be in my class again!! I love you!" The first days of Kindergarten are similar to childbirth: You forget the pain because the end is so rewarding! first grade is the same way...like suzanne above, i have always likened it to childbirth! I think you are amazing! 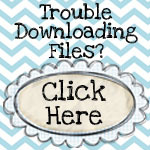 Your blog has such great tips and gives real insight to being a Kindergarten teacher. In regard to this post, I would suggest rewarding the kids as you notice them not interrupting (or whatever behavior you are trying to discourage), instead of bringing attention every time they do the behavior. That way, they are being reinforced for positive behavior! Good luck with your year!